1. Speed – It is slow. I use a badass Intel i7 SSD/64G of RAM rig at my house on a super-high-speed business class Comcast broadband pipe. That being said, loading almost every page takes several seconds. This applies on other computers, using a number of browsers, it is just slow. 2. Loading large user lists – This also falls under the speed category above, but I feel it deserves its own category. Ever tried going to a community of 2000+ and loading the user list from that community? It is dreadful! The lag can take up to 10 seconds to load just a few elements. 3. You should be able to go to someone’s profile and post on their “wall/timeline/board/etc” – Right now if you want to publicly message someone, you have to message them from your profile with “+theirname.” This is just weird and makes you take extra steps if you are on someones profile and want to send a message. 4. Annoying UI issues – Pop open a user list from a page, and hover over that persons name. Pointing the mouse from their name onto the popup box for their information can be really tricky, and it takes a precise mouse maneuver to make it happen. 5. Alphabetizing user lists – I don’t feel that user lists should be alphabetized. In a community or page, I feel as though the most active users should be listed on the preview box, not the people with the letter A. This is a little obvious, but right now people with names like “Aaron” are listed first, and consequently get a ton of followers just because people like to follow people in a certain community/page and it makes it easy to do so. 6. Google+ Pages/Maps/Places is still confusing – Even as an internet marketer, I still get confused with all of this. It just doesn’t seem like its on the same continuum, its weird and doesn’t make sense to me when I’m working on a client. 7. Signup – The sign up process is somewhat confusing. What I really don’t like is that when they recommend you like a “category” you end up liking 50+ people/pages at a time. Those people are most likely never going to follow you back and all this does is aid these massive G+ pages in getting tons of followers. 8. Comment integration – I know there is a plugin for Blogspot and it’s been ported to WordPress, but it is still buggy and doesn’t always work. We need a real plugin that works great with actual support. 9. Circles – Here is where it gets weird. On my profile it says “135 in your Circles” and “485 have you in circles.” However, when I go to my own circles actually 480 people have circled me, and I’ve circled 1200. What does this mean? Ok, I actually figured it out but this is going to confuse people. 10. I always seem to have 1 update in my notification bar. What gives? 11. Google Comment Continuity – There really needs to be better continuity between Google Talk/G+ Chat, Google+ Comments and Youtube Comments, etc. Google should be one product and should all be branded the same across all spectrum. Facebook has definitely done this right. 12. Checking in – Huge problem. You should be able to check in to any location that has an address on Google Maps. Right now on my Android I am trying to check into my business and it isn’t coming up, neither are the businesses in the same complex. Yes location share is on. In fact, the only businesses that are coming up are 3 miles away! 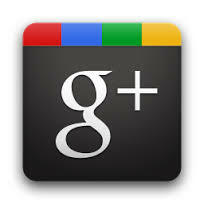 To set the record straight, I do love Google+ and I like using it alot. Usability-wise, it has a long way to go before non-techies start using it day to day.